HP DesignJet recently unveiled its new DesignJet Z Printer series to showcase innovative large format technologies. The new printer series offers astounding image quality and fast, simple output for print service providers (PSPs), retailers, photo studios and photographers to deliver beautiful photos, impactful graphics and technical applications. The latest offering from HP Inc., HP DesignJet Z6 and Z9+ Printer series is designed to effortlessly maximize printing performance for high quality photo output. By tightly integrating the materials, hardware, and software together, the new printers offer amazing photo quality and print permanence with fewer inks to simplify manageability and reduce costs. “The demand for simplicity and unrivaled photo quality is growing, fueling the need for printing solutions that remove bottlenecks and increase time savings. 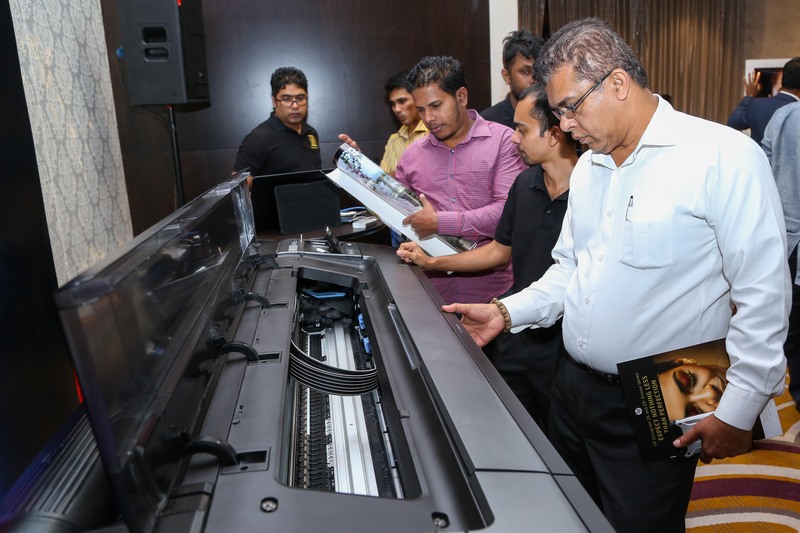 The DesignJet Z Printer series radically enhances the customer experience and reinvents printing possibilities for both professional photo and retail printing needs,” stated Mr. Sashika Vishan, DesignJet Country Business Manager for Sri Lanka. “The new range has been thoughtfully designed to deliver impressive photo quality without sacrificing limited time resources in order to provide an output that is of a higher standard and efficiency than customers are used to” he further added. The new vertical trimmer is featured on select models in the series in order to optimize output in addition to other innovative technologies for rapid high-quality production from professional photo quality prints to retailer signage. This results in increasing printing speed to 2.5 times faster and post-production to 20 percent faster than before. For print service providers who rely on amazing professional photographic quality prints, the HP DesignJet Z9+ printer allows for a broad range of graphics and technical applications. They can produce prints with clear details and high-contrast color with dual drop technology powered by HP Nozzle Architecture (HDNA) and high-definition printheads. The HP DesignJet Z9+ features an upgradable configuration for a higher gloss output. Additionally, print service providers can create prints with highly-stable pigment HP Vivid Photo Inks that provide water-resistant, fade-resistant prints for long-term indoor display and, when printed on suitable water-resistant media, outdoor display. HP Vivid Photo Inks gives businesses the assurance that the prints they make for their customers will last as long as possible and give them unmatched value for money.